Shoulder joint is made up of two bones i.e. Humorous (arm bone) and Glenoid-fossa of Scapula (shoulder blade). Frozen shoulder is a condition where the capsule of the shoulder joint, which holds the joint fluid (synovial fluid) inside, becomes inflamed. This results into pain and reduced range of motion of the joint. Frozen shoulder literally means a condition that prevents one from using full range of motion of shoulders. 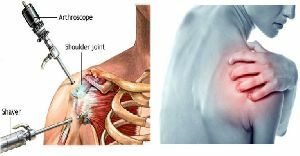 Alternative Names Adhesive capsulitis Symptoms Decreased motion of the shoulder, Pain and Stiffness Frozen shoulder without any known cause starts with pain. 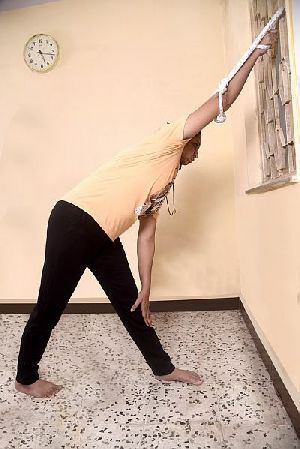 This pain prevents from one moving the arm freely. The lack of movement at the shoulder joint leads to stiffness and decreased motion of the joint specially taking it behind, lack of muscle strength, loss of muscle mass and increased pain. A Robust Cure Increasing stiffness can affect cervical region may trigger or aggravate cervical spondylitis. Weakness in shoulder muscles, leads to partial atrophy of the muscles, superficial to the gleno humoural joint. sanjeevan medical yog Treatment addresses all these problems in this sequence - sanjeevan medical yog Treatment addresses all these problems in this sequence. It relieves stiffness from the cervical region and posterior shoulder.